Addo Elephants & Cape is designed to provide a safari with a difference, in the most Elephant rich game reserve in the World, combined with time in one of the most beautiful cities in the World – Cape Town. The thrill of quietly watching a herd of elephants stroll by, while sipping tea on the veranda of a stately colonial manor house is the unforgettable stuff of dreams. Watch the sunset from the Summit of Table Mountain with views over the Atlantic Ocean and you will know that your holiday of a lifetime has come true. Arrive at Port Elizabeth Airport, and met by our representative. A road transfer will take you to the famous Addo Elephant Park and Gorah Elephant Camp, where you will spend the following four days on safari. This exclusive lodge recaptures the romantic mystique of authentic safaris from centuries past. 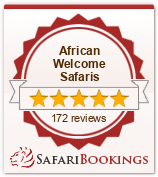 Experience the breathtaking natural world of Africa merged with colonial nostalgia and modern sophistication, to deliver an unforgettably unique 5 star adventure. Gorah is the only private concession and Camp situated in the middle of the famous Addo Elephant National Park, home to the densest population of elephants on earth, not to mention The Big Five. Days will be spent enjoying game drives in open safari vehicles accompanied by experienced rangers. Game drives at Gorah, expertly led by passionate and professional guides are a testament to the safari of old. Intrepidly searching the vast terrain for animals is the essence of the experience. The excitement of discovering Elephant, Rhino, Lion and Plains Game in their natural habitat lingers long after returning to camp for a hearty dinner. Enjoy your last early morning game drive in the Addo Elephant Park, followed by a road transfer to Port Elizabeth Airport. A one hour flight will take you to the “Mother City ” of Cape Town, home to the iconic Table Mountain. On arrival at Cape Town Airport, you will be met by our representative and transferred to the luxury Cellars Hohenort Hotel situated in the Constantia Valley. Spend the next few days exploring all that Cape Town has to offer, from award-winning Wine Estates to penguins at Boulders Beach. Take time to stroll around Kirstenbosch Botanical Gardens nestled at the base of Table Mountain , and spend a day out at Cape Point and the Cape Point Nature Reserve. Cape Town also offers a wealth of culture and history, and a Township Cultural tour is well worth doing – interacting with the locals and seeing our “rainbow nation ” first hand. Book a tour to Robben Island to see where Nelson Mandela was held prisoner ending with dinner at the Victoria & Alfred Waterfront at one of it’s many top class restaurants. Sightseeing in Cape Town can be offered a guided tours or for the more independant traveller, self-drive in a hire car is very popular. All adventures have to come to an end unfortunately, but you will depart with memories etched in your memory for a lifetime , as you are transferred to Cape Town Airport in time for your onward flight back home.